There are plenty of used car dealerships in Phoenix and the surrounding areas, but if you’re looking for an affordable and diverse selection of used cars for sale in Phoenix, it’s tough to beat the inventory at Cactus Jack’s. At our Phoenix location, you’ll find everything you’re looking for, including popular used Hondas, Toyotas, and Fords, as well as all kinds of used SUVs, sedans, and trucks. Find exactly what you’re looking for right now, and apply for an auto loan online to get a jumpstart. 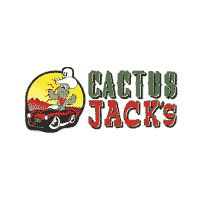 Get the Used Cars Phoenix Drivers are Looking for at Cactus Jack’s! There are many reasons that folks in Phoenix decide to go with Cactus Jack’s as their chosen used car dealership. In addition to our impressive inventory of used cars, we also offer a simple and affordable $500 down payment, as well as a “Buy Here, Pay Here” policy and a rotating lineup of affordable weekly specials. Stop in and see us Monday through Saturday on Bell Road, or contact us at (602) 788-8300 with any questions!